Does your learning lack something? One of the trends now in the training industry is the question of engagement. It’s not enough to simply “build it and they will come”. It’s important that the learning involves, challenges, and immerses the learner in an experience. That’s what Serious Learning is all about; creating a better and more engaging experience for the learner. First, know that the name is somewhat of a misnomer. When you hear or see the term you probably get a vision in your mind. That vision is likely a picture of people with intense facial expressions and rolled up sleeves working hard in a classroom. And to an extent that could be true. Yet that is not what is really Serious Learning. Serious Learning is creating experiences that help the learner deepen understanding and skill. Usually that is done through activities that invite them to be more than just a spectator to the learning. They become a part of it. They are immersed in the experience. In many instances, this is done through the use of games. Nothing seems to quite engage people as much as when they are playing a game. And we’re not talking cards or Scrabble here. Sometimes it means getting down and dirty with Legos. In fact, there is actually a product line called Lego Serious Play from the company specifically made for that purpose. There are also board games, computer-based simulations, Virtual Reality, Augmented Reality, and more. That’s why I said earlier that the name is somewhat of a misnomer. 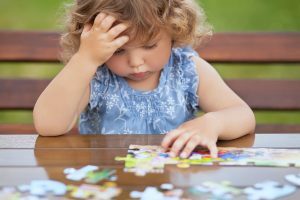 More often than not Serious Learning is called Serious Play or Serious Gaming – because it involves playing a game that helps the learner discover the lessons and principles they need. And they do it in an atmosphere that is fun, competitive, and engaging. All of these appeal to our innate nature. As a result, we learn more because we are involved more. The website seriousgamesatwork.org says that while it is difficult to create a comprehensive definition of what constitutes a serious game, you can generally divide them up into two areas based on purpose. Whatever you want to call it or categorize it, these are not passive events. That is the key to their success. The idea of “serious games” or “serious learning” was first advanced in the 1970’s by Clark Abt. It didn’t really catch any kind of spark until the early 2000’s however. In between, trainers have always used games of some sort to help teach principles or concepts. Many a team building class was enhanced by group exercises that were games. Often participants would be given wooden play blocks, or an erector set, or a bag of plastic blocks. The team would then be tasked with creating or duplicating something; the idea being that how the team members interacted was observed and reported. Trainers also freely employed games in a variety of other ways to bolster up a class. The challenge of engaging learners is not one isolated to eLearning. It has been something that has provoked and frustrated training developers since….well, pretty much always. The liberal use of eLearning solutions has made it stick out even more. It is just way too easy to make an eLearning course an entirely passive event. So what was a frustrating event for instructor-led training becomes practically a nightmare for eLearning developers and designers. What makes it even more difficult is quite often budget limitations. Engagement requires investment and many organizations just aren’t sure they are ready to make the investment. As a result, much of what passes for eLearning today become simply electronic books or converted slideshows. The extent of the learners interaction is clicking the Next button or responding to some multiple choice quiz questions. Rapid development tools haven’t made this easier. Somehow, many managers and executives heard the term rapid development tool and drew a picture in their mind of something that was fast and cheap. Creating serious learning, however, takes time and resources. Not any old game will do. If it doesn’t lead the learner to construct the lesson we desire or reinforce a concept, then it is just a time waster or filler. Therefore we need to use our technology on hand – and technology yet to come – to resolve the engagement challenge. Developing serious games and other serious learning activities into our eLearning courses will help not only drive the lesson home but keep the learner involved and motivated. And we need to be ready to commit the resources necessary to implement them. Many authoring or development tools have features integrated already to add some level of games or interactions to enhance learning. Adobe Captivate, for example, has a built-in widgets for word searches, Jeopardy style games, and even “Millionaire” games. There are also web services consisting of pre-created games where you can fill in your particular subject matter and integrate into an eLearning course. Yet another consideration is the use of Experience API to record the use of either physical or electronic games. If you are using an LMS with support for both SCORM and xAPI, you could report completion of a serious game then view a course and game report to determine completion of an eLearning course. 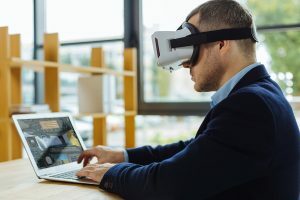 By exploring the technologies available and the commitment of resources, you can create Serious Learning that can create serious results for your organization. Want help exploring more ways to create real learning that works? Why not contact the experts at JCA Solutions (support@jcasolutions.com)?